Plaster inlay depicting the Aesop’s Fable “The Fox and The Crow” above the fireplace in Kenmore’s Dining Room. Fables are as old as time itself. A type of story passed down in folklore, the fable appears all over the world and is often the stuff of myth, legend, or flat out falsehood. When exactly people began telling fables can’t be pinpointed. They appear in ancient Egypt, India, Rome, Greece, and many other early civilizations. Fables appear across religious boundaries too. They are prevalent in Christianity, Judaism, and Islam. These stories lend themselves to religious teachings because throughout history, fables were used to teach lessons and morals to children by pointing to a flaw or weakness in human behavior. These stories usually have characters who are not human; mainly animals that speak and behave like humans. Aesop, one of the most famous authors of fables, came from Ancient Greece and his fables have become so widely published that the man himself has become sort of legend. Aesop lived sometime around the 6th century BCE. There are over 700 stories accredited to him today, but we can’t truly be sure if he actually wrote any of them. Aesop has become a sort of fable himself. What little information about Aesop we have comes from an episodic called The Aesop Romance. According to this work of fiction, he was a Greek slave who was very clever. People like Aristotle wrote about Aesop’s cleverness being so great that he was able to overcome his enslavement and position himself in the company of kings. The stories known as Aesop’s Fables have changed a lot over the centuries. They have been published countless times, each version a bit different than the last. Many editions have a completely different set of stories. This is because, again, no one is really sure what is or isn’t an Aesop’s fable. Aesop’s fables were used during George Washington life to teach children as well. In fact, Aesop’s Fables by Sir Roger L’Estrange appears in two different inventories of Washington’s books, once in 1759, and again in 1764. Moreover, when doing the inventory in 1759, the book is listed twice meaning that George Washington owned a copy as did his step-son John “Jacky” Parke Custis. When inventory was done again in 1783, both copies are gone. Jacky’s copy was probably at his own estate, Abingdon, which was destroyed but would have rested on the property of Reagan National Airport today. Jacky died in 1781 from a camp disease he contracted at Yorktown and his probate inventory lists his copy of the fables, showing it was still part of his library at his death. Conversely, we do not know where George Washington’s copy went. While George learned much of his genteel behavior from his famous penmanship exercise of The Rules of Civility and Decent Behavior, we can also guess the lessons of Aesop’s fables impacted his life. Certainly, these fables were read and taught throughout his childhood in school and at home. The Rules of Civility focused more on proper physical behavior whereas the fables focused on moral behavior. Later in his life, as Washington grew from boy to man to legend, he too became inspiration for myths and parables that would teach lessons to others. The most famous of these stories was created by Parson Mason Weems about young George cutting down a cherry tree. Even today visitors to Ferry Farm are sometimes surprised to hear this story is a made up tale to teach children not to lie. Interestingly, an Aesop’s fable entitled “Mercury and the Woodman” has the same lesson. In this story, a woodman loses his axe in a pool of water. The Greek god Mercury comes and pulls a golden axe from the water, but the Woodman tells the god that it is not his axe. Mercury then pulls a silver axe from the water; again the Woodman denies owning such an axe. Finally, Mercury pulls the ordinary axe from the water and the Woodman takes the axe as his own. Mercury is impressed with the Woodman’s honesty and lack of greed, so as a reward; he gives the Woodman the gold and silver axes. The Woodman’s story spreads through town and several others attempt to summon Mercury by losing their axes. When they all greedily claim the golden axe, Mercury hits them over their heads and refuses to give any of them their own axes back. As you can see, not only does this fable have the same moral (honesty is the best policy) as the cherry tree myth, Weems even used the same hand tool! Perhaps, this Aesop’s fable was the real muse for writing the cherry tree tale? “19 Everyday Expressions That Came from Aesop.” Mental Floss. September 03, 2014. Accessed January 18, 2019. http://mentalfloss.com/article/58530/19-everyday-expressions-came-aesop. An Ornate, 1551 Edition of Aesop’s Fables. Accessed January 18, 2019. https://wlu.edu/office-of-lifelong-learning/online-programs/from-the-collections/aesops-fables. Carlson, Greg. “Fables.” Creighton University. Accessed January 18, 2019. https://www.creighton.edu/aesop/. Clayton, Edward W. “Aesop’s Fables.” Internet Encyclopedia of Philosophy. Accessed January 18, 2019. https://www.iep.utm.edu/aesop/. “Founders Online: List of Books at Mount Vernon, 1764.” National Archives and Records Administration. Accessed January 18, 2019. https://founders.archives.gov/documents/Washington/02-07-02-0216#GEWN-02-07-02-0216-fn-0008. Weems, Mason Locke, and Peter S. Onuf. The Life of Washington. Armonk, NY: M.E. Sharpe, 1996. When you enter a museum you’re surrounded by cool stuff. Be it paintings, fossils, or ancient artifacts, they’re all special items that you’d be hard pressed to find elsewhere. But what if I told you that the cool objects you see on display in a museum are a mere fraction of what most museums actually have in their collections? There is just never enough room, even for the biggest museums, to display everything. Additionally, some items are just too delicate to make available to the public. This is one of the reasons I love my job. My fellow archaeologists and I get a daily backstage pass to all the incredibly cool things excavated at George Washington’s Ferry Farm. Here’s our list of “Ten Cool But Rarely-Exhibited Artifacts Found at Ferry Farm.” Be sure to click on any of the photos for more detailed views of the artifacts. Starting in the 17th century if you were a wealthy gentleman or tavern owner chances are you ordered at least a few custom wine bottles complete with your personal seal. The seals were stamped in various ways, such as with names, initials, symbols, crests, and dates. Archaeologists love them because they’re ‘talky,’ meaning the artifact yields lots of information. 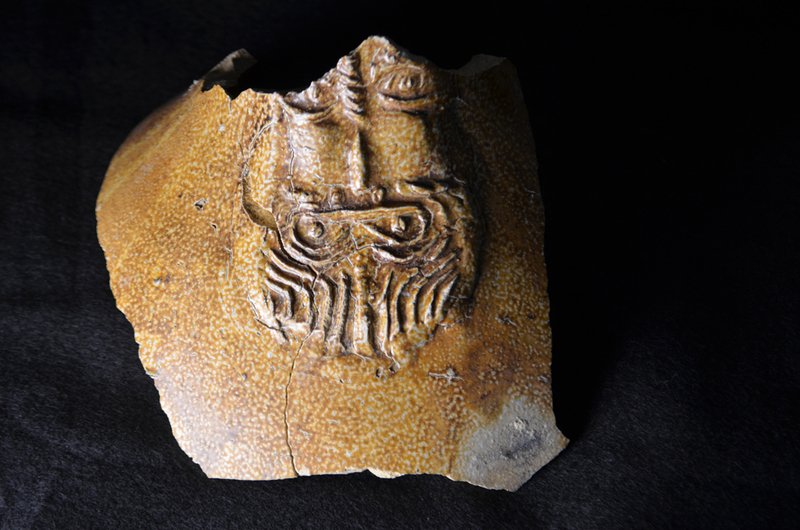 A fragmentary bottle seal was found here in 2004 and bears the incomplete name of its owner. The letters visible are either a capital “I” or “J” (the English used the letter I for J), and below that are the letters “-bin”. These few letters might refer to someone in the Corbin family, an extensive Virginia family with local ties. With a little investigation, perhaps we can flush out who was the mystery guest that brought his own bottle of wine for a visit to Ferry Farm! Instruments and toys tend to grab our imagination because they make us think about who used them and how the object got lost to time and archaeology. 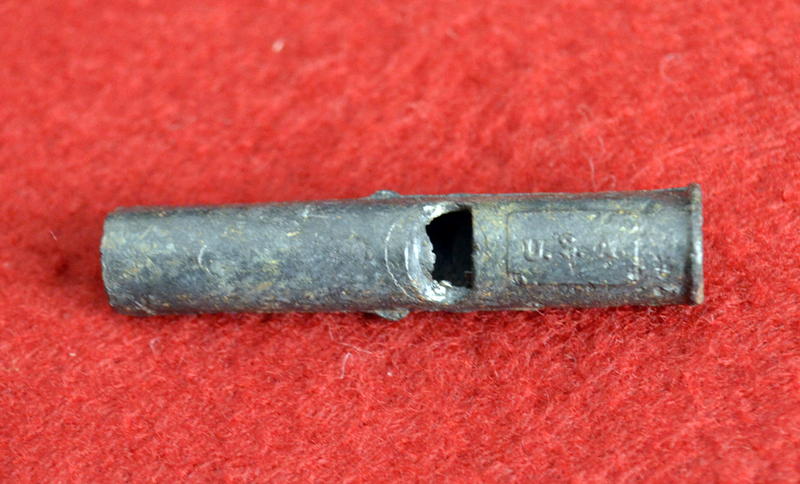 In our collection we have a simple lead whistle, measuring 1 7/8” long and 3/8” in diameter, with “U.S.A.” stamped on the side. It’s cheaply made out of lead, which was a very inexpensive material that has, for obvious reasons, been phased out of the toy industry. In the “Good Ol’ Days”, no one thought twice about making an instrument you put in your mouth out of lead. Maybe it’s a good thing that the person who owned the whistle lost it. Fun to say. Fun to play. 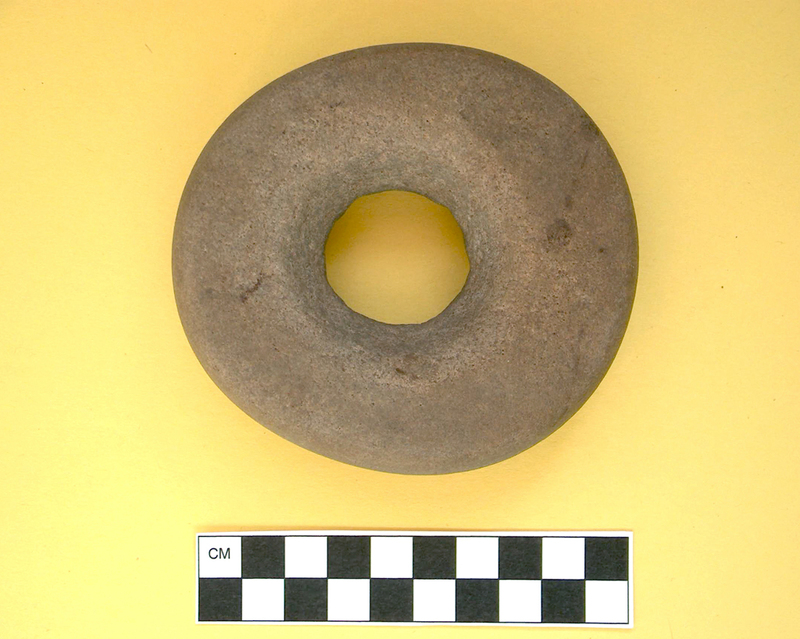 Basically a prehistoric rock doughnut, this hand-ground stone was used in a Mississippian Indian game called “Chunkey.” Warriors rolled disc-shaped stones across the ground and threw spears as close to the stone as possible. Similar to the Italian game of bocce, but unlike the Italians who threw wooden balls, Chunkey players threw spears, which is pretty awesome. It’s a bit of a mystery as to how it got to Ferry Farm because there is no evidence that Chunkey was played in eastern Virginia, however some of these gaming stones have been excavated in Maryland and Northern Virginia. It is also possible that one of Ferry Farm’s colonial inhabitants collected this exotic looking artifact for their cabinet of curiosities. Normally broken bottle glass would have trouble finding its way onto any top ten list, but this fragment is one of a kind. 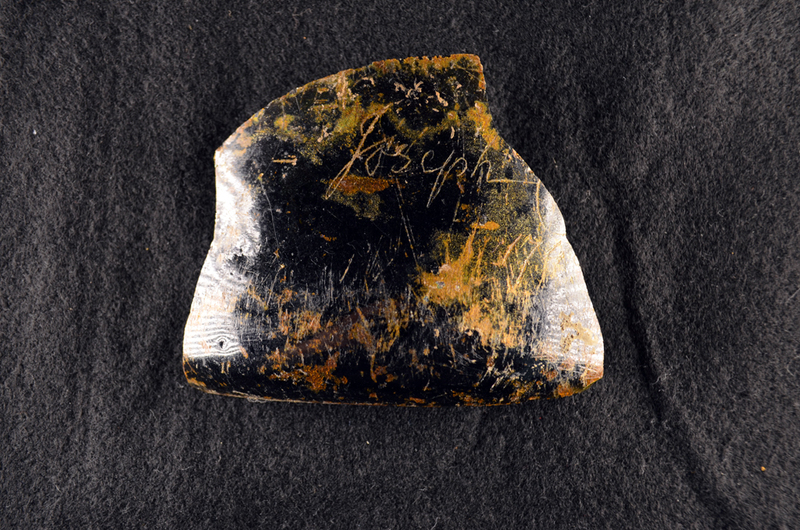 Its owner inscribed his name “Joseph” and the date “174?” into the body of the bottle. That’s not an easy or common thing to do. The inscription is carved in an elegant and beautiful form indicating a gentry status for its owner. While no occupant of Ferry Farm was named Joseph, Mary Ball Washington’s older brother bore that name. Joseph Ball, though living in England, was heavily involved with Ferry Farm. He absentee owned and operated a neighboring plantation. Joseph was lavish in both his gifts and advice to the Washingtons. He gave Betty, George’s sister, a beautiful silver tea set just before she married. He offered Mary advice on how to keep George out of the Royal Navy when a plan was hatched to put the then 13-year-old onboard a ship. And maybe, just maybe, he sent over a special bottle of wine with his name engraved on it for the Washington family. More lead toys? Yep. This little beauty has special significance to Ferry Farm because of the cherry tree myth. 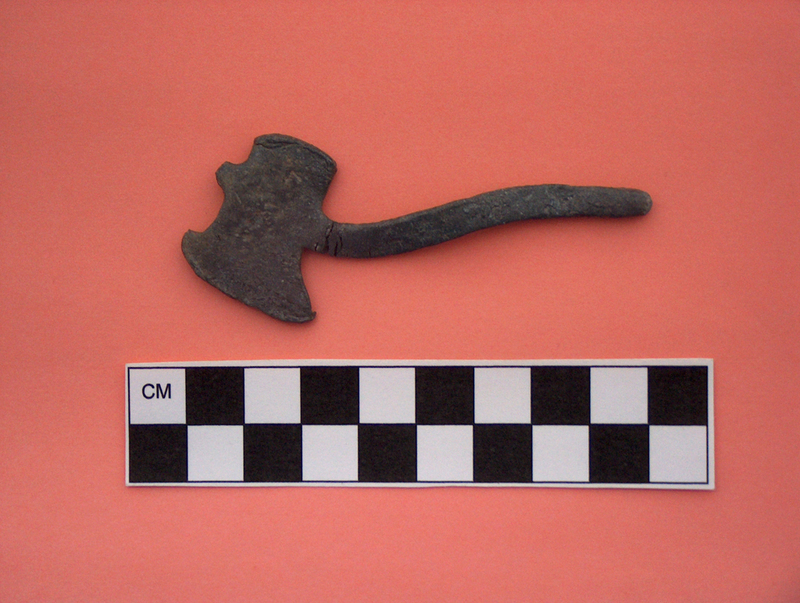 The 3-inch lead hatchet appears to be a souvenir made during the 20th century, possibly dropped during 1932’s anniversary celebration of George Washington’s birth. Keepsakes associated with George and the cherry tree abound in Fredericksburg. 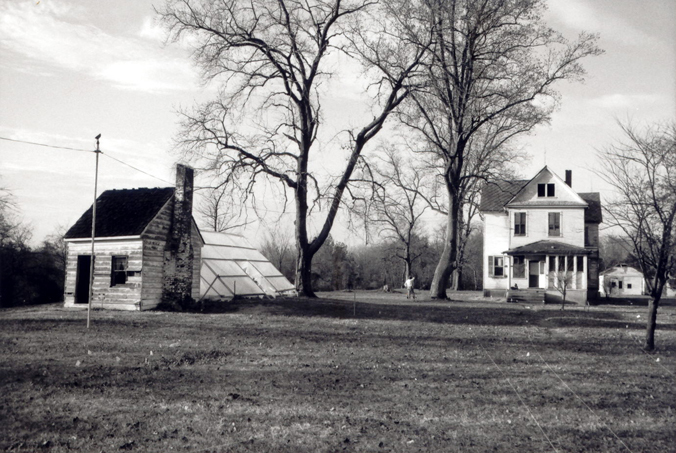 Previous private owners of Ferry Farm were known to capitalize on the history of the property, often selling fragments of the ‘original cherry tree’ and cherry seeds to visitors. This hatchet is an obvious symbol recalling the cherry tree story that is so closely associated with Washington’s childhood. 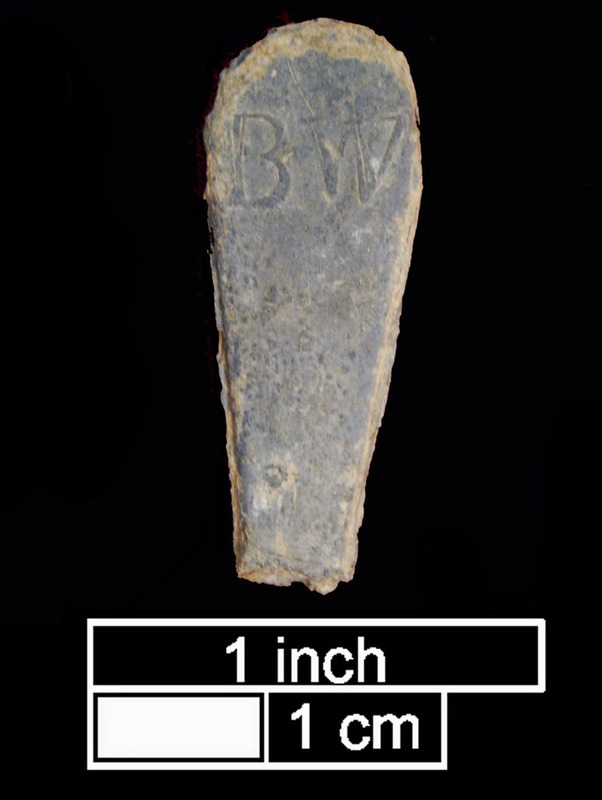 Recovered completely intact from an old burrow belonging to a groundhog, this artifact had multiple uses on a 19th and 20th century homestead. 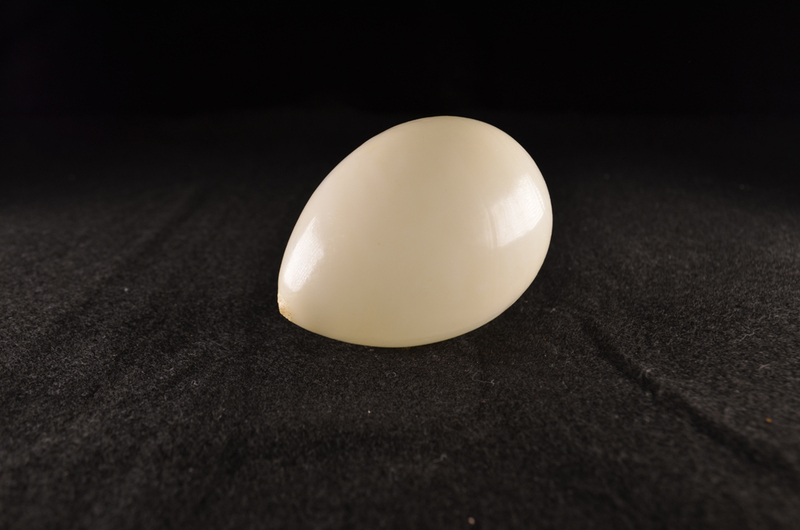 The glass egg was a darning aid used to fill out a sock while it was repaired or could be placed in a henhouse to encourage the ladies to lay eggs in a particular spot. There is also a persistent myth that these eggs were used to kill snakes. 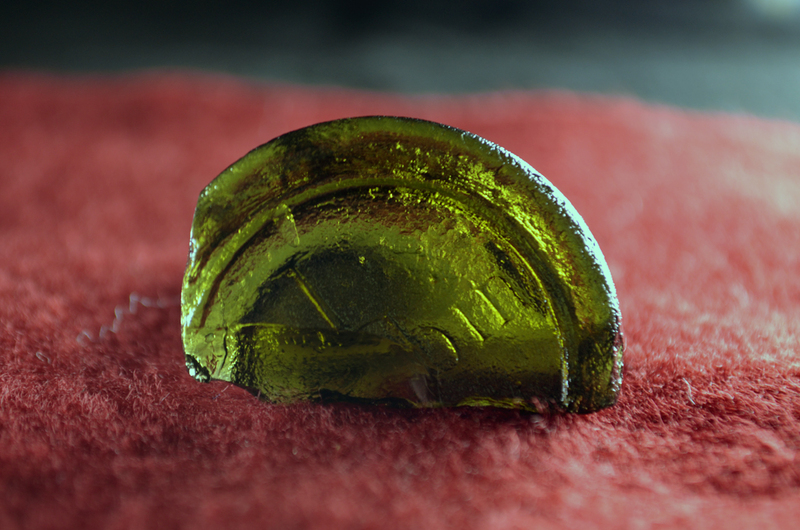 The snake would eat the glass egg, it was believed, which would then shatter inside them. This line of reasoning ignores the fact that snakes hunt by detecting chemical signatures of their prey and that snakes can’t really see the egg-like shape of our artifact because of their poor vision. But it’s a story that highlights the mythology that surrounds some objects once they fade into obscurity. The tambour hook falls into the category of artifacts that are a little too fragile to display. Made of carved bone and metal, this exceptional object was used by a gentlewoman, probably George’s sister Betty, to adorn fabric with elaborate embroidery. Recovered from the bottom-most soil level of the Washingtons’ root cellar where it was deposited sometime between 1741 and 1760, the carved designs that cover the bone handle feature a parrot, leaves, flowing vines, and numerous flowers and represent some of the most popular embroidery themes of the time. This hook helps demonstrates the fashionability of the Washington women, which contradicts the portrait painted by many modern biographers. Betty had some of the coolest artifacts and this one literally has her name on it. It was customary for tea to be dispensed by the wife or by the oldest daughter in the house and Betty, as the only daughter, was clearly groomed in this ceremony as is evidenced by her own teaspoons. Pewter, an alloy containing a number of different metals including lead (yes, more lead), wasn’t as fancy as silver but the fact that it’s customized makes it special. This tea set appears to be part of a “practice” set that Betty used before her uncle gave her a silver tea set around her 16th birthday. Who doesn’t want to drink out of a jug exhibiting the large face of a crazy bearded man? I do, and if you were a colonist in the 1700s and early 1800s, you did as well. Originating in Germany, these face jugs depicted a ‘wild man’ of the woods character popular in Eastern European folklore. By the time these vessels made it to the English market that aspect seems to have been forgotten. Subsequently, the English created their own story behind the bearded man revolving around their dislike for a similarly-bearded and unpopular anti-protestant cardinal by the name of Robert Bellarmine. For more about this artifact, read this blog post. This artifact is cool for so many reasons. A beautiful bowl adorned with graceful hand painted flowers and cherries (remember, we love those here), it also exhibits a complicated and tortured use-life while highlighting the importance of punch drinking in the eighteenth century. Written about here, this bowl was owned by Mary Washington, George’s mother. Punch bowls vary in size and this one would have been called a ‘sneaker’, which denotes a bowl small enough for guests to take turns sipping out of it before passing it to the next person. Mary clearly loved the bowl so much that, when it broke sometime between 1765 and 1772, she had it repaired with glue. Although the hide or cheese-based glue used would not have resulted in a vessel capable of holding punch again, she could display it on her mantle or in her china cabinet…Oh, and the glaze? It has lead in it. While living at Ferry Farm, Mary Washington, mother of George, owned a creamware punch bowl with beautiful hand-painted enamel depicting a floral motif and cherry accents. 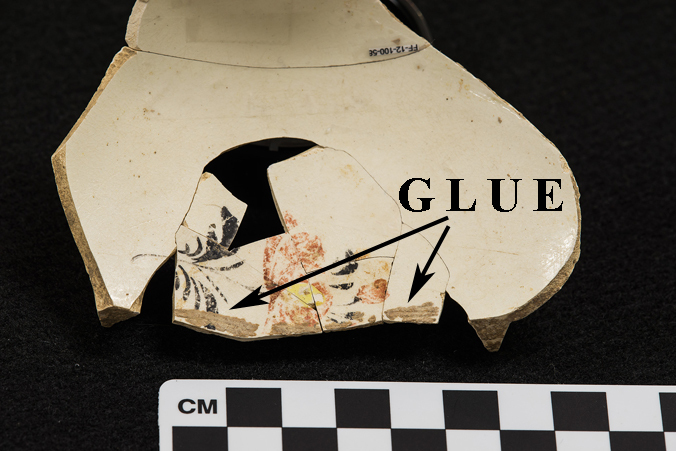 Archaeologists excavated pieces of this bowl from the cellar of the Washington home and subsequently discovered glue residue on the sherds. We’ve written about the importance of the bowl’s discovery here and even showed how we recreated a glue similar to the one used to repair the bowl here. As part of our continuing efforts to learn as much as we can about the punch bowl and these glue residues, we took the sherds to the archaeology lab at Dovetail Cultural Resource Group here in Fredericksburg, where they took photos using a microscope. A microscopic view of the glue residue on the bowl that reveals brush strokes from when the glue was applied. In addition to closer views of the glue, these photos show dark flecks of iron in the red paint and reveal that iron was, in part, used to create the red pigment. Whatever was used to create the yellow pigment could be ground up more finely than the iron in the red. The microscopic view even revealed the brush strokes made by the artist who hand pained the decoration onto the bowl. It’s not just the glue itself that is incredible but also the object on which the glue was found. 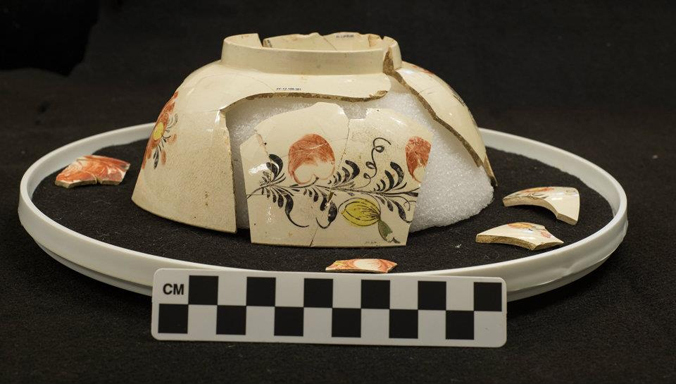 When I started working at George Washington’s Ferry Farm, my first assignment was to examine creamware associated with Mary Washington, George’s mother, which was excavated from the cellar of the Washington home. I focused on a lovely punch bowl with beautiful hand-painted enamel depicting a floral motif with cherry accents. Obviously, we adore cherries at Ferry Farm, being the setting of the fabled chopping down of a certain tree by young George, and we wanted to learn more about it. The punch bowl was manufactured in the 1760s or early 1770s. It exhibited a lot of use wear, indicating it was obviously a favorite of Mary’s. The punch bowl was of a size designed to be passed around at a gathering for each guest to take a sip directly from it. This was a time before germs were well understood. Thankfully, for health’s sake, 18th century punch contained a hefty amount of alcohol. This also meant that punch was not cheap. Actually, the production and drinking of punch was very much a ceremonial form of conspicuous consumption. Mary chose this special bowl as much for its beauty as for its function. After close inspection of the vessel, I noticed a strange substance adhering to many of the edges. This unsightly brown stuff extended across the many breaks in the bowl and, upon microscopic examination, exhibited suspicious brush marks. Furthermore, additional ceramics from the same cellar excavation revealed similar residues. Could it be glue? 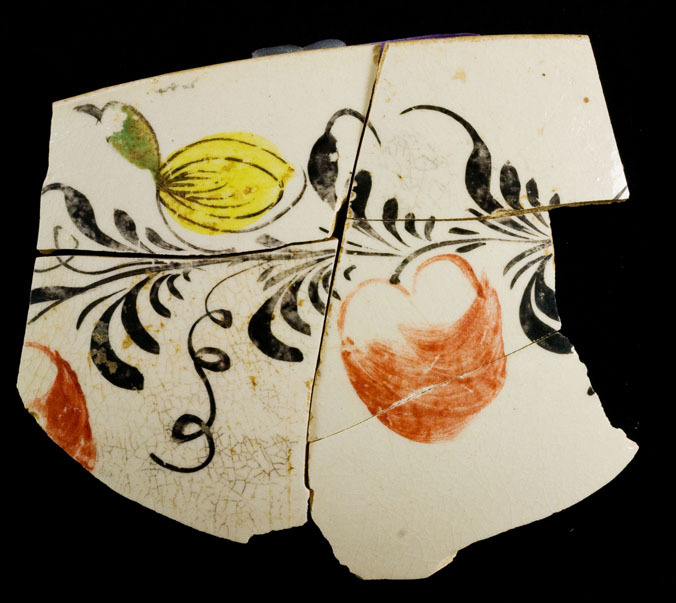 If it were, this would shed light on a previously unknown behavior taking place in the Washington home – the breaking and subsequent repair of ceramics. We had to know! 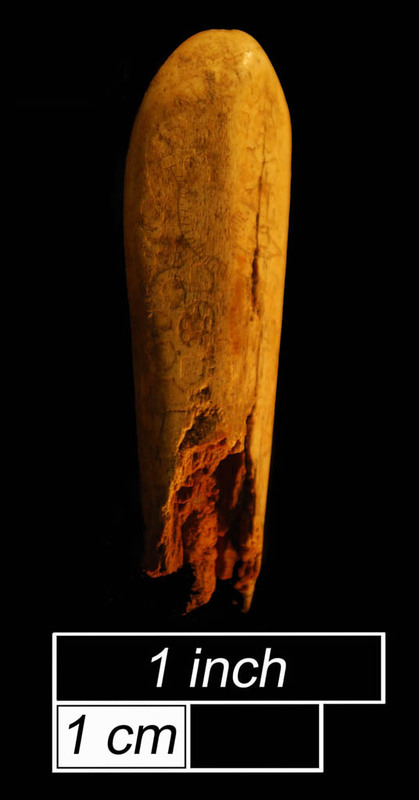 What followed was a multi-year study during which we tested the historic glue residue samples utilizing mass spectrometry courtesy of Eastern Michigan University. We spent months researching historic glues, replicating those glues, and then breaking and mending much thrift store pottery with the aforementioned glue in the name of science. The conclusion? We had indeed discovered eighteenth century glues! While this may not seem like a ‘eureka’ moment, it was actually quite significant. First of all, it’s amazing that 250-year-old glue survived in the ground for so long. Second, the discovery improves our understanding of Mary Washington, a woman that gave birth to and shaped the young life of our first president. By replicating period glues and mending modern pottery, we also learned that the vessels Mary had repaired probably were not used for anything other than display after mending. They could not have held a liquid, which means that after it was broken and mended, the beloved punch bowl was probably relegated to mantle or shelf where the delicate hand-painted flowers and charming cherries could be admired but never used for its intended purpose ever again. We also concluded that Mary herself would probably not have made and applied the glues personally. Turns out making eighteenth century glues involved a wide array of bizarre and often stinky ingredients including ox gall, animal hide, bull’s blood, garlic, eggs, cheese, isinglass (extracted from a fish’s swim bladder), and the slime from garden snails (yep). Watch the video below to see how colonial-era glue was made. You can also click here. It was a time consuming and messy endeavor that was likely undertaken by the enslaved people living at Ferry Farm rather than by the mistress of the house. To date, seven vessels belonging to Mary exhibit glue residue. Interestingly, even though a professional mender was operating in the town of Fredericksburg just across the river from where she lived, Mary chose to have glue prepared at home with which to repair her ceramics. That, plus the fact that she had these pieces mended even though she could never use them again means Mary was a thrifty woman who saw the value in displaying the objects. Perhaps demonstrating that she owned these highly fashionable ceramics took precedence over using them? What makes the glues even more exciting is that nowhere in the historic record does it mention that Mary was repairing ceramics at home. Our only evidence for this activity is archaeological and it has revealed a previously unknown aspect of her life. Perhaps now the question is not “Did George chop down the cherry tree?” but rather “Did George break the cherry punch bowl”? And all that is why glue is the coolest thing I’ve ever found. Have you ever seen ads for museums inviting you to “be part of the story”? Well, at George Washington’s Ferry Farm and Historic Kenmore, many people are part of the story and have been for a long time. Those who have played an integral part in the ownership, history, preservation, and work of the properties have long had a spot for these two places in their hearts. Collecting and processing the oral stories of those people is an important part of understanding the historical scope of The George Washington Foundation’s properties. In fact, oral history programs and collections have become an important component of many museums around the world. Our Foundation’s own oral history project officially began in 2007. My requirement was to interview someone for a Historic Preservation Department course I was taking at The University of Mary Washington. I was to record recollections of a person describing the layout of a house he or she previously lived in and detail how the rooms and landscape around the person’s home were used by its occupants. Since I worked in the Archaeology Lab at Ferry Farm, I decided to ask David Muraca, director of archaeology, if he knew of someone I could interview associated with the property or who had lived at Ferry Farm during the 20th century. 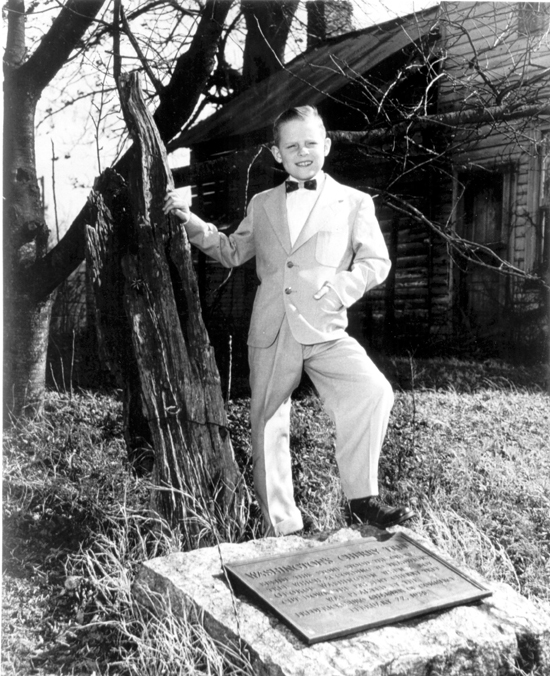 He suggested Charles Linton, Jr, a local gentleman who had lived in the 1914 two-story frame house on the property as a boy with his large family from 1942 to 1956. In our oral history session, Mr. Linton and his wife, Pat recounted many specific remembrances of the Linton family’s time living on the very same river bank where George Washington grew up He told of the aftermath of the historic 1942 Fredericksburg Flood, rationing during World War II, and his parents’ efforts to house soldiers and provide medical supplies for the troops. There were many tourists who visited the property during the time that the Linton’s lived at Ferry Farm. So many, in fact, that they kept a guest book! People traveling through wanted to visit the place where the nation’s first president had spent his boyhood. They wanted to buy tiny jars of homemade cherry preserves from Charles’s mother, postcards from his sister Barbara, and get a tour of where young George had cut down the cherry tree. The visitors were not disappointed either as Charles and his brother, Tayloe, sold wood pieces cut from the trunk of a cherry tree (with a hatchet, no doubt) for one dollar each…not a bad income for two industrious boys at that time! Tiny cherry wood carvings of hearts and hatchets were whittled and sold, too. 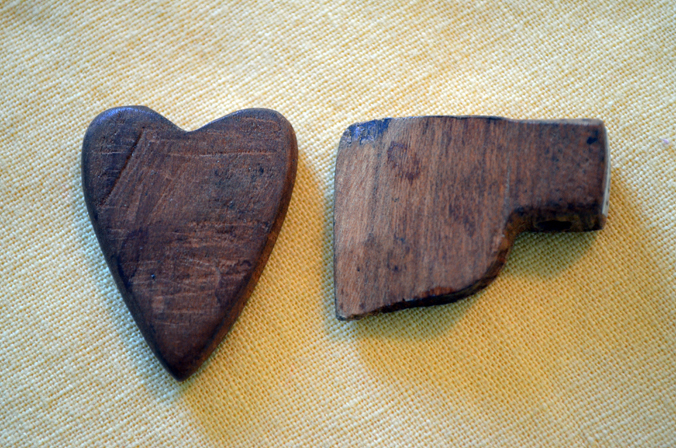 Carved cherry wood heart and hatchet (approx. 1” each) dating from the 1940s. Gift of the Linton family. The stump of a supposed scion of the cherry tree that Washington had barked was also on the property for visitors to see and was known as “The Shrine Tree.” It was, no doubt, an important reminder to visitors of Washington’s honest character. While those early 20th-century attractions no longer exist on the property at Ferry Farm, the Cherry Tree Story is still a subject that is inquired about by the visiting public just as it was in Linton’s day. Some important revelations came to me as a result of doing this assignment for my class. I began to really recognize the sacred nature of our presidential property and how deeply affected the public had become by that nature over time. In the case of Ferry Farm, tourists and travelers have been fascinated by Washington’s boyhood home for 230 years mentioning it in diaries and letters over the centuries. This realization spurred me on to research the publics’ fascination with Washington’s character via the Cherry Tree Story. Why do so many still ask about this tale? Why do so many acknowledge that the story probably isn’t true but, in their heart of hearts, they want it to be? To get the answers to these questions it would be necessary to ask more questions by collecting more oral histories and to begin a Foundation archive. In doing so, it became clear that the recent past, brought to life by the personal stories of so many who have been involved with Ferry Farm, proved a new and fascinating way to look at our archaeologically-rich property and gain understanding of its social and cultural impact over the decades. I got to work interviewing and, before I knew it, an archive of stories about Ferry Farm and Kenmore Plantation was created. Not only did I discover more about the 20th century history of our Foundation properties, but documenting the preservation efforts associated with them proved critical to remembering the hard work of the many dedicated people who saved them. By creating a formal database with the mission of gathering oral histories, I saw that we could document much personal and institutional memory about our museum sites and couple the insightful perceptions collected about the Washington and Lewis Family’s with our scientific and historical research findings. Eight years later, the archive is well on its way. Samplings of some of the amazing stories collected so far will make their way into future blog postings so you can view for yourself the peoples’ passion for Ferry Farm and Kenmore’s historical treasures. Anyone wishing to participate in this project is encouraged to contact the Foundation at (540) 370-0732 extension 14 or healy-marquis@gwffoundation.org.